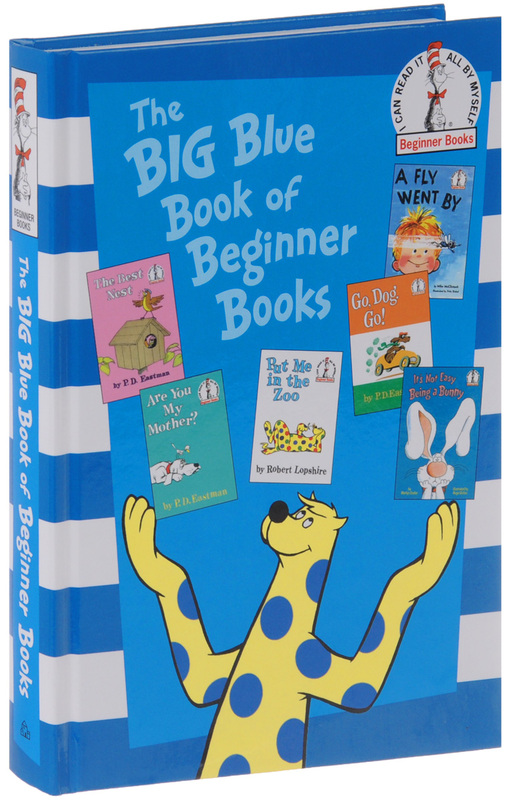 The Big Blue Book of Beginner Books - Eastman P. D.
What could make a better present than a classic Beginner Book? Six of them - for less than the price of two! We've taken the complete text and art of three beloved P.D.Eastman titles: Go, Dog. Go!, Are You My Mother?, and The Best Nest; Robert Lopshire's Put Me In the Zoo (the first of his books featuring the character Spot); Marilyn Sadler and Roger Bollen's It's Not Easy Being a Bunny (the first PJ Funnybunny story); and Mike McClintock's charming, cautionary tale A Fly Went By, and bound them together in one sturdy hardcover omnibus. A perfect introduction to reading that will whet young readers appetites for additional books in the Beginner Book series.